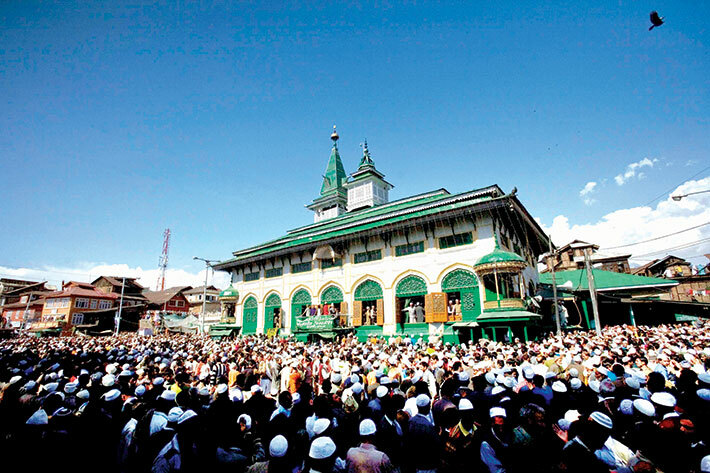 Since ages a huge number of Sufis have travelled to Kashmir spreading the message of Islam. People of Jammu and Kashmir have revered these saints, irrespective of their religion. With a prayer on their lips and tears in their eyes, these men and women plead for mercy and seek the blessings of the divine. 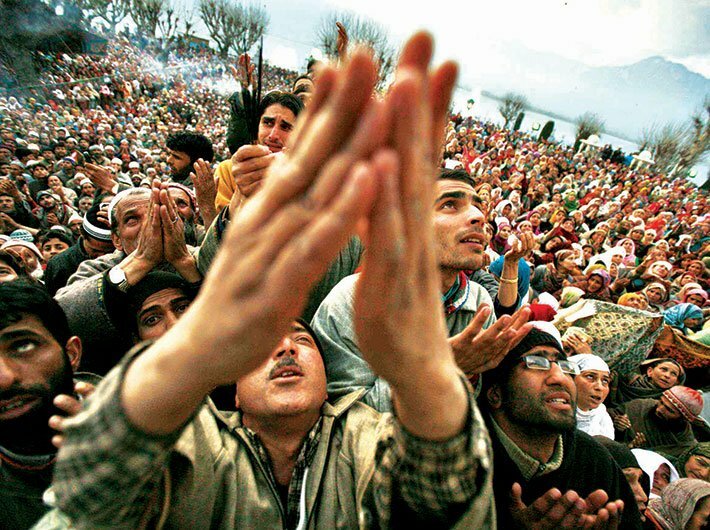 As they bow down their heads in devotion, they hope their miseries will be wiped away by the Sufi saints – their only comfort amidst the turmoil in the Kashmir valley. Since ages a huge number of Sufis have travelled to Kashmir spreading the message of Islam. People of Jammu and Kashmir have revered these saints, irrespective of their religion. Many artistic shrines have been dedicated to them – the Shah-e-Hamadan shrine, the Makhdoom Sahib shrine, the Dastageer Sahib shrine, the Naqashband Sahib shrine, the Harzat Syed Yaqoob Sahib, the Sonwar shrine, the Charar-e-Sharief shrine, the Ashmuqam shrine and the Baba Reshi shrine are among the shrines most frequently visited. Devotees enter the shrine with a heavy heart, in a hope to leave with a peaceful mind. The peer baba will send their prayers directly to the God, they say. 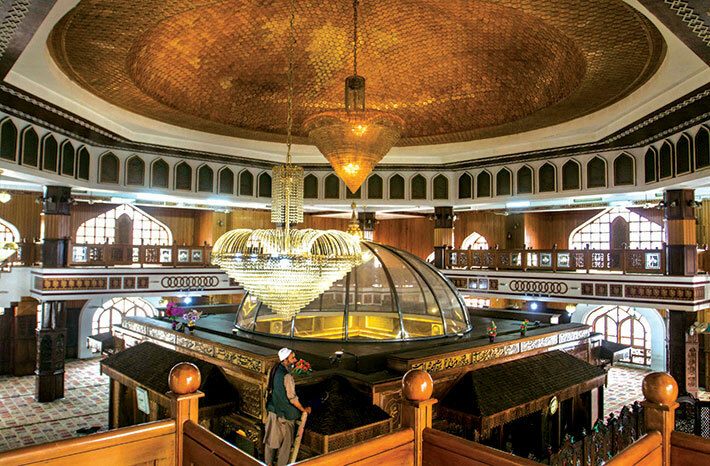 The curves of the architechture of the interior of the Charar-e-Sharief speak of the gentleness of the poet-saint Sheikh Nooruddin Noorani, buried inside. The poet-saint wrote, in Kashmiri, Anna poshi teli yeli wann poshi (Food will last as long as forests last). People reacting to the exhibition of the relic at Dastageer Sahib shrine, Srinagar. 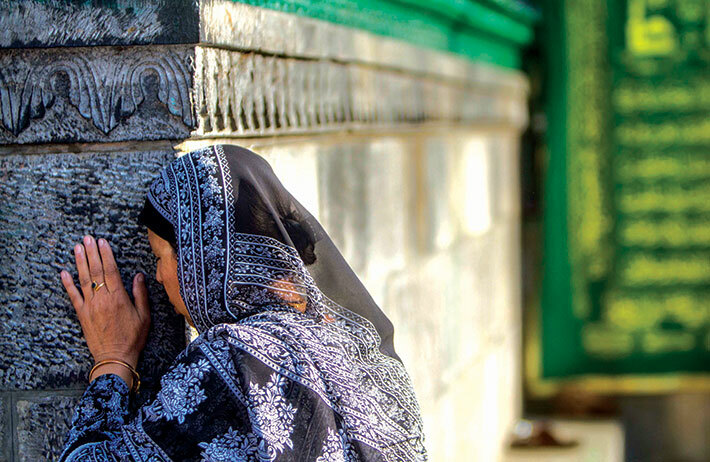 A devotee at the Shah-e-Hamadan shrine in Srinagar. 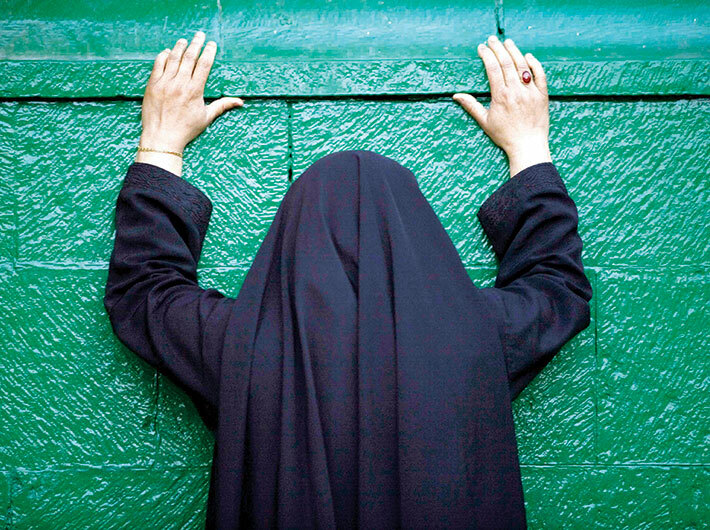 At the Dastageer Sahib shrine in Srinagar, a woman hopes to send her prayers through hands to the rock wall, to the soul of the peer baba buried inside, and through him to Allah. 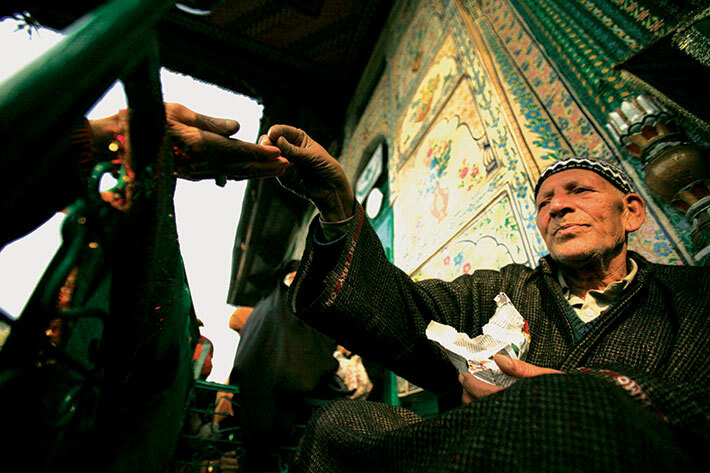 Prasad sweet with grace is distributed at the Shah-e-Hamadan shrine in Srinagar. 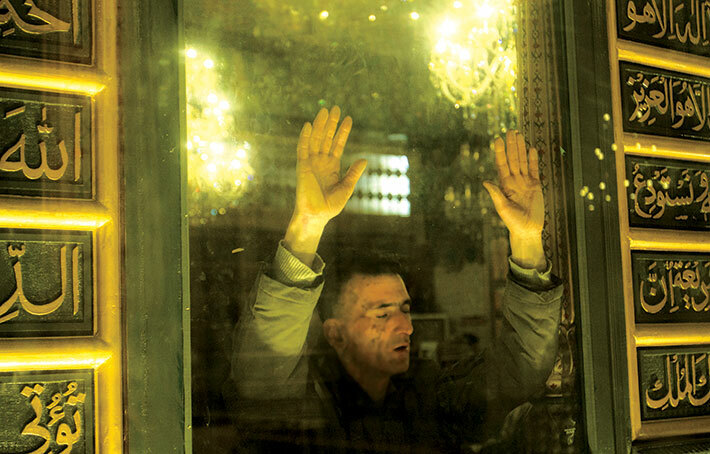 Eyes closed, arms raised, palms pressed against the glass pane, a devotee seems to be holding in his mind a view of a relic at the Dastgeer Sahib shrine in Srinagar. 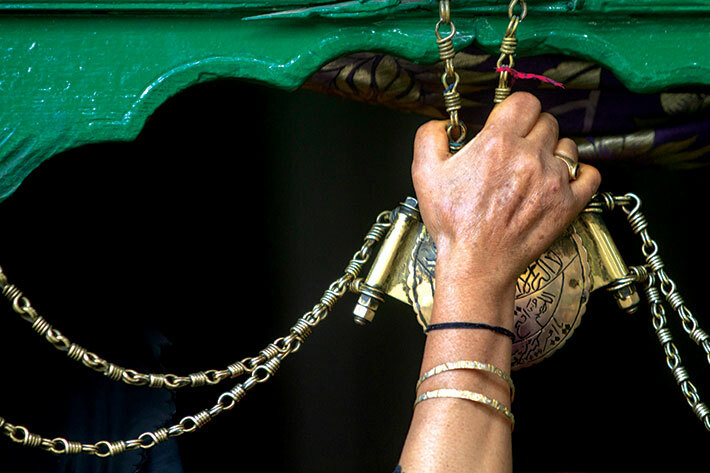 At the Shah-e-Hamadan shrine in Srinagar, a woman touches a holy chain to seek blessings.